Vibrating sieve screening is the efficiency, there is no efficiency there is no benefit, so how to improve the efficiency of the sieve screen sieve has been plagued by many manufacturers of the problem. 1, using equal thickness screening method. 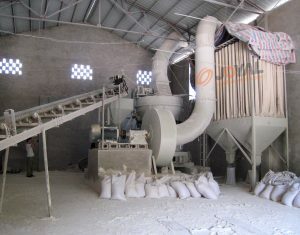 With the sieving process, the thickness of the material on the sieve surface gradually thinned from the feed end to the discharge end, resulting in unreasonable feeding of the sieve surface utilization, which can be used for different inclined angle In order to control the material in the sieve surface of different sections of the speed of movement, so that the slope of the mine flow, so as to improve the screening of the screen at the end of the screening opportunities. 2, adjust the feeding method, in some cases, the material is not fed along the full sieve width, is bound to cause the screen surface is not fully utilized. 3, conditional, you can consider adjusting the inclination of the screen machine, the appropriate inclination is conducive to reducing the material thickness, to achieve thin material layer screening. 4, increase the screening area. It has been proved that reducing the amount of material on the unit sieve can improve the screening efficiency. When the actual amount of material on the screen surface is about 80% of the capacity of the screen, the sieve screening efficiency is the highest. When using the sieve to do grading equipment, due to fine grain size, should ensure that there is enough screening area and the appropriate extension of the screen surface, so that the aspect ratio of 2: 1 or more conducive to improve the screening efficiency.